With Pubcon Florida 2018 coming up next month, here’s a little of what to expect based on my experience as a first-time Pubcon attendee last November. 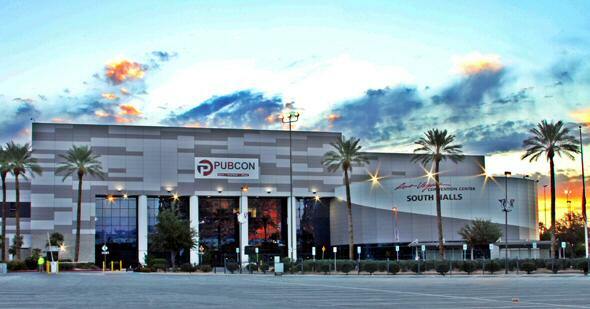 It’s safe to say I’m now a Pubcon follower! Session Variety. With 10 tracks in different areas, there is something for everyone. Takeaway Tools and Tips. Each session provides tools, tips, suggestions from experts in their niche. Session and Speaker Quality. Offering session levels for various areas of experience is a good way to ensure no one feels overwhelmed or bored. If a session is too basic or too technical, other sessions are available. Overall, the speakers are proven professionals who deliver high-quality content with enthusiasm and expertise. I’m a total marketing nerd who cannot wait to report on results, so this was one of my favorites. One of the main takeaways from this session is to always think of your respondents FIRST. When developing a survey, think of respondents first. What are others curious about? Videos and pictures absolutely trump non-pics. Thumb stopping, when your thumb stops scrolling—save the best for first! Though I assumed a mega-dollar investment would be required for video startup, the presenter provided a list of the best tools at a reasonable price. If you would like a copy of the list, please contact me here. For me, a unique aspect of last year’s Pubcon was the presentation of information from other industries. It’s a refreshing and different way to learn new marketing tips and techniques, many of which are applicable to healthcare.